Before we even start, you need to understand that tips from this post can only get you so far. Think about it, according to various scientific studies, it takes about 10,000 hours to master a skill. Therefore, expecting to become an expert content marketer after reading a single blog post isn’t that realistic. However, what this article can do for you is help you discover how to improve your content marketing skills more efficiently and get some immediate results. With that in mind and without further ado, here are five ways how you can get better at content marketing in 2019. First of all, we’re talking about getting better, not getting started, at content marketing, which is why you need to get some credible learning resources on your side. Sure, you may know all the basics, yet, every single field of digital marketing is evolving and the only way to keep up with it is to keep educating yourself. The biggest problem here lies in the fact that in the age of the internet, everyone can upload anything online. This means that your first priority needs to be finding credible sources of information. Magazines, content marketing webinars and podcasts are a great place to start, provided that you know the reputation of people behind them. The question of whether one should go for inbound or outbound marketing, content marketing or direct advertising is a controversial question. 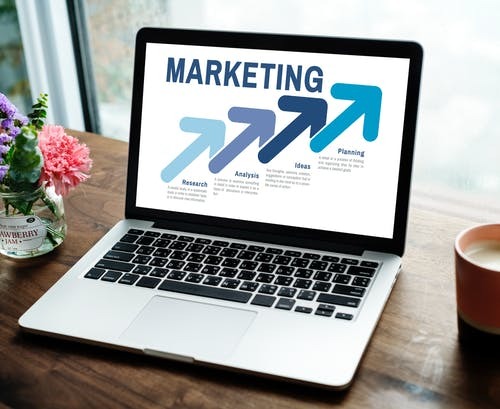 While it is true that content marketing has a particular way of helping you connect to your audience and establish yourself as an authority in a certain niche in no time, it’s definitely not omnipotent. What this means is that, on occasion, it has to be complemented with another technique or method. Advertising is a perfect example. Let’s say you’re a business located in Sunshine Coast, Queensland and wanted to work towards boosting your local presence. You could do this via content marketing by addressing local issues and, at the same time, double your efforts by advertising in Sunshine Coast. You would be surprised to learn just how many people use nothing but a spell-check to ensure that their content is well composed. Sure, this may sometimes be enough but every professional needs to have the sharpest tools in the game at their disposal. Outstanding editing and writing tools like Grammarly, Hemingway, StackEdit and Plagiarism Detect are just some of the items that need to find a place on this list. Of course, none of these can replace real talent, hard work and the ability to think like a content marketer. However, what they do is immediately improve the quality of your content with little to no increase in effort. The next thing you need to understand is the fact that various platforms have various preferred types of content. For instance, the audience on Facebook and Instagram is more likely to look at a video, gif or an image, than they are to read through a wall of text. On the other hand, on your blog or your LinkedIn profile, people might actually read all that you’ve written instead of just skimming through the text or reading just headlines. Other than this, you might also want to consider new formats, some of which you’ve never tried out, even though they’re wildly successful. We’re primarily talking about live streaming or podcasting. Performing an SEO audit, later on, is definitely a possibility but it’s much easier, as well as time-saving, to think about this in time. Properly structuring your content (headline formats), making it crawler-friendly and adding metadata as you go, are just some of the ways in which your content marketing may appeal more to Google. Sure, what’s user-friendly, usually tends to be Google-friendly, as well, yet, every now and then, it sure doesn’t hurt looking at your SEO as one of the prime objectives. While the term “getting better” may have a certain abstract connotation to it, you need to understand that in marketing, any marketing, you get to measure your progress based on objective metrics. This means that just a couple of weeks after you start applying these methods, you might be able to see some tangible results.